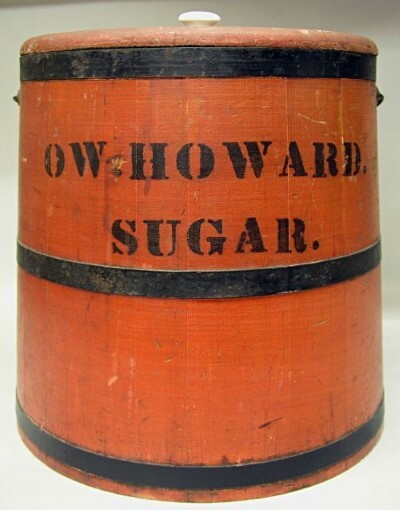 Banded wooden sugar bucket or firkin with the name O.W.Howard Sugar stenciled on front. 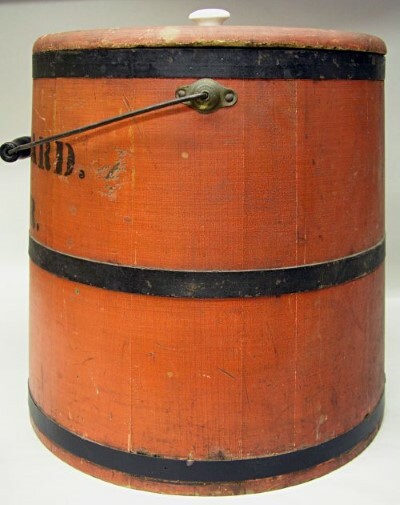 Large wooden sugar bucket painted a bright bittersweet color in wonderful condition. 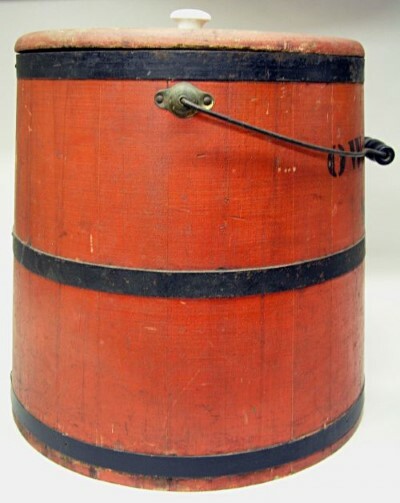 Dimensions: Measures 14` tall with out handle x 12 5/8" across the lid and 14 1/2" across the base.